Astym® treatment is a therapy that regenerates healthy soft tissues (muscles, tendons, etc. ), and eliminates or reduces unwanted scar tissue that may be causing pain or movement restrictions. Astym®treatment is highly effective and even works when other approaches routinely fail. 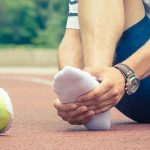 One of the main reasons Astym® treatment is so much more effective than other treatments is that it was scientifically developed to resolve the underlying cause of soft tissue problems, rather than just trying to temporarily relieve symptoms. It is one of the most researched and effective therapy treatments available. Astym®treatment is unmatched in its ability to resolve tendinopathies, scar tissue problems, and other soft tissue dysfunctions. Doctors regularly prescribe Astym® treatment specifically for their patients, and elite athletes and knowledgeable patients seek out Astym® treatment for superior results. When your health and ability to stay active is at stake, only the best will do. For more information, Contact us at Grand Forks, Grafton, Park River & Minot, ND & Detroit Lakes, East Grand Forks, Park Rapids & Thief River Falls, MN centers.